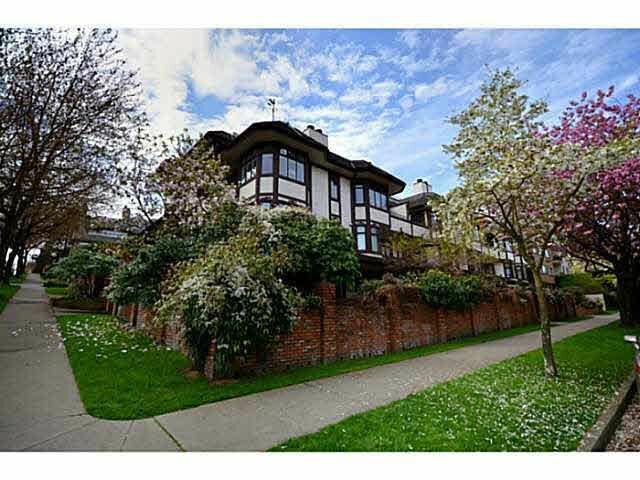 Rarely available 1350 sq ft 2bed/2bath tudor style townhome in prestigious Old York Townhomes @ York & Balsam. Prime location 1 blk from beach, private entrance thru iron gates & 865 sq ft patio, this 1 level unit has high ceilings, oak floors, large living room, french doors, separate dining room & kitchen, huge master bed with loads of closets, ensuite with separate shower & tub. Bonus - secure parking at your back door. Perfect for downsizers, green thumbs and beach walkers. This is a must see in this quintessential well built & run worry free Kits building. Easy to Show.